Welcome to Valuentum's Premium Research Center - Valuentum Securities Inc.
Valuentum distributes its equity research through a variety of means, including a la carte. Please view the list of premium equity reports below to see if any are of interest to you. But before you do, check out our entire equity research coverage universe -- we only make a few industries available for a la carte purchase. As a subscriber to Valuentum, you gain access to all of our reports and more as part of your membership. It's a much better deal to subscribe. Join now! Wall Street doesn’t know it has a problem. Index and quantitative investors have been free-riding on the backs of active managers for years, but growth in price-agnostic trading may finally have reached the tipping point. 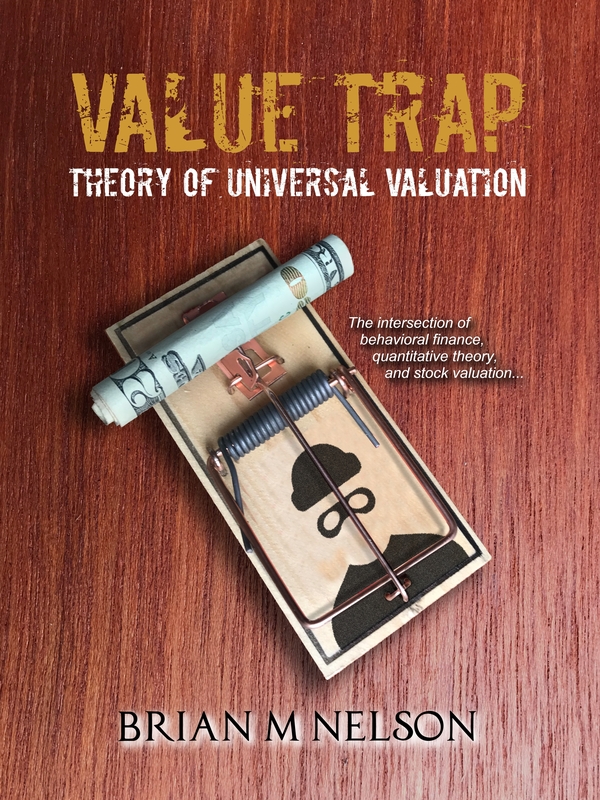 Brian Nelson, former Director of Methodology at Morningstar and President of Investment Research at Valuentum, explains how enterprise valuation forms the Theory of Universal Valuation and why a focus on it may not only help you avoid value traps, but also save you from the next financial crisis. Already a financial advisor client? Click here to download the most recent version. The latest edition of the Valuentum Ideas100 puts the top 100 highest-quality stocks at your fingertips to build an ironclad, diversified portfolio. We assess the strength and duration of a firm's competitive advantages via our ValueCreation rating (ROIC less WACC), and we evaluate the business risk profile of each company on the basis of expected volatility of key value drivers captured in our ValueRisk rating. A must-have for any investor. The quarterly publication of the Ideas100 is included in a Financial Advisor subscription. Save 25% with a premium membership. Join Today! Already a financial advisor client? Click here to download the most recent version. Order our advanced stock screener. You'll receive our proprietary data and metrics for the top firms in our equity coverage universe to help you pick and screen the best stocks for either you or your clients. Our Excel-based data feed and screener runs the gamut of Valuentum data points from our estimated fair value, price-to-fair value, Valuentum Buying Index to normalized earnings and EBITDA and a variety of technical and momentum measures. All stocks can be sorted by any key metric to uncover hidden investment gems. FREE with an annual Advisor subscription. Save 25% with an upgraded premium membership. Join Today! Already a financial advisor client? Click here to download the most recent version. The latest edition of this 125-page+ quarterly publication puts the top 100 high-quality, dividend gems at your fingertips. We believe the Valuentum Dividend100 to be a must-have for the income investor. 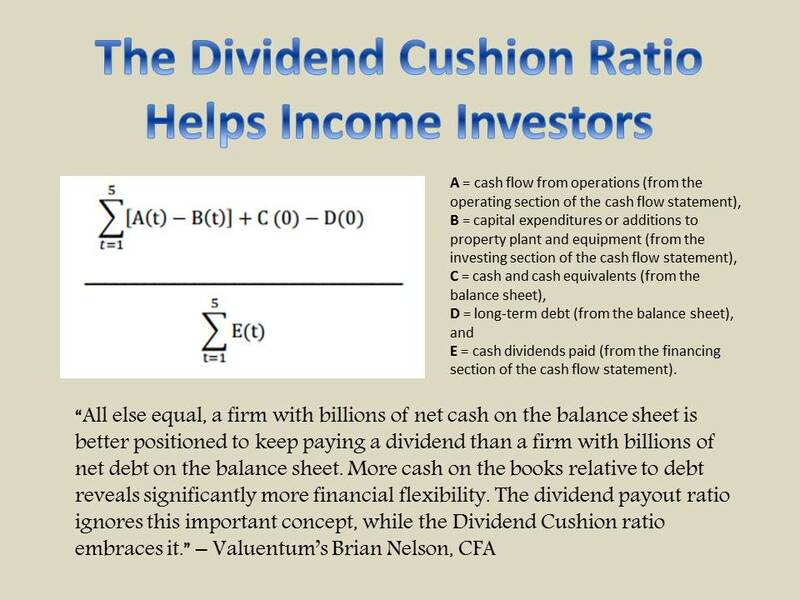 The quarterly Dividend100 is included in a Financial Advisor subscription. Save 25% with a premium annual membership. Join today! This product includes five, 16-page equity research reports (in pdf form) on the following companies in the aerospace and defense industry: Boeing (BA), General Dynamics (GD), Lockheed Martin (LMT), Northrop Grumman (NOC), and Raytheon (RTN). Upon purchase, an article will be emailed to you containing the links to the relevant reports. Or subscribe to Valuentum and gain access to these reports as part of your membership. This product includes seven, 16-page equity research reports (in pdf form) on the following companies in the aerospace supply chain: Astronics (ATRO), Rockwell Collins (COL), Goodrich (GR), Hexcel Corp (HXL), ITT Corp (ITT), Precision Castparts (PCP), and Spirit AeroSystems (SPR). Upon purchase, an article will be emailed to you containing the links to the relevant reports. Or subscribe to Valuentum and gain access to these reports as part of your membership. This product includes six, 16-page equity research reports (in pdf form) on the following companies in the agricultural machinery industry: AGCO (AGCO), Caterpillar (CAT), CNH Global (CNH), Deere (DE), Joy Global (JOYG), and Terex (TEX). Upon purchase, an article will be emailed to you containing the links to the relevant reports. Or subscribe to Valuentum and gain access to these reports as part of your membership. This product includes five, 16-page equity research reports (in pdf form) on the following companies in the broadline semiconductor industry: AMD (AMD), Intel (INTC), National Semi (NSM), STMicro (STM), and Texas Instruments (TXN). Upon purchase, an article will be emailed to you containing the links to the relevant reports. Or subscribe to Valuentum and gain access to these reports as part of your membership. This product includes eight, 16-page equity research reports (in pdf form) on the following companies in the chemicals industry: Air Products (APD), Airgas (ARG), DuPont (DD), Dow Chemical (DOW), Ecolab (ECL), Eastman (EMN), Praxair (PX) and Sigma-Aldrich (SIAL). Upon purchase, an article will be emailed to you containing the links to the relevant reports. Or subscribe to Valuentum and gain access to these reports as part of your membership. This product includes five, 16-page equity research reports (in pdf form) on the following companies in the commercial services industry: Cintas (CTAS), Iron Mountain (IRM), Pitney Bowes (PBI), R.R. Donnelley (RRD), and Xerox (XRX). Upon purchase, an article will be emailed to you containing the links to the relevant reports. Or subscribe to Valuentum and gain access to these reports as part of your membership. This product includes five, 16-page equity research reports (in pdf form) on the following companies in the communications equipment space: Aruba (ARUN), Cisco (CSCO), Finisar (FNSR), Juniper (JNPR), and Riverbed (RVBD). Upon purchase, an article will be emailed to you containing the links to the relevant reports. Or subscribe to Valuentum and gain access to these reports as part of your membership. This product includes five, 16-page equity research reports (in pdf form) on the following companies in the software industry: Adobe (ADBE), Salesforce.com (CRM), F5 Networks (FFIV), Microsoft (MSFT), and Oracle (ORCL). Upon purchase, an article will be emailed to you containing the links to the relevant reports. Or subscribe to Valuentum and gain access to these reports as part of your membership.